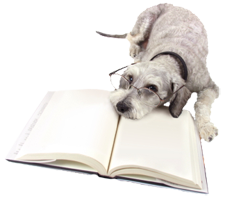 Harlem Animal Hospital is aware of the vast amount of information available on the internet. Our team has taken the time and evaluated the following sites. We trust the information the listed websites provide to you, our client, and member of our family. However, please always consult with Dr. Kiani or a licensed veterinarian before making important decisions about your pet. Disclaimer: Notice to Website Users: These website listings above are provided for information and education purposes only. No client-veterinarian relationship is established by the viewers' use of the above listed websites. On these websites, no diagnosis or treatment is being provided by the veterinarians at Harlem Animal Hospital. The information contained in this Veterinary Resources section of this website should be used in consultation with a licensed veterinarian of your choice. Harlem Animal Hospital makes no guarantees or warranties regarding any of the information contained in this website and the above websites. Dr. Kiani and Harlem Animal Hospital take no responsibility for websites that are hyperlinked to this website, and such hyperlinking does not imply any relationships or endorsements of the linked sites.